Paris' iconic Notre Dame Cathedral on Monday, writes US News. 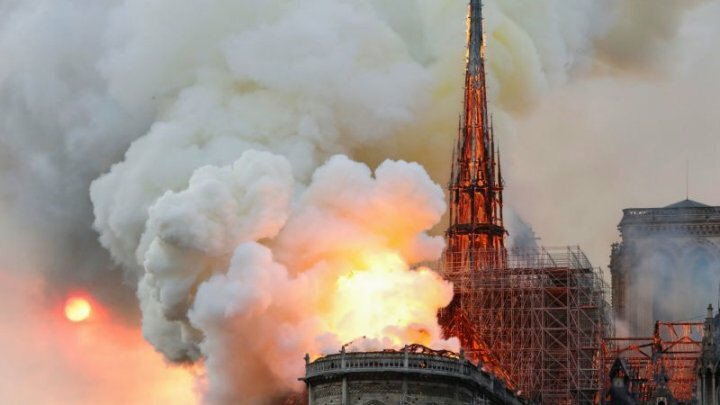 Large plumes of smoke could be seen billowing from the 856-year-old cathedral in videos on social media, and a witness told Reuters that flames were coming from the two bell towers. Authorities have not speculated about a cause of the fire. The building is under renovation and France 24, an international news channel, reported that the entire roof of the cathedral had collapsed. The outlet reported that pieces of the building are continuing to burn and fall and the fire "is not under control at all." President Donald Trump weighed in on the situation on Twitter, tweeting that it was "so horrible to watch the massive fire" and that officials "must act quickly!"